Princess Diana of Wales, formerly Lady Diana Spencer, was the first wife of Charles, Prince of Wales. Born into aristocracy in 1961, Diana’s grandmothers on both sides served as ladies in waiting to the Queen Mother (Elizabeth II’s mother). Diana’s parents divorced when she was just seven and the rift between them would haunt Diana’s early life. Diana was sent to boarding school, where she was recognized for her magnetizing community spirit. She also demonstrated talent for music, dance and swimming. Though she never went to university, Diana did attend a Swiss finishing school and held a handful of low-paying jobs, including working as a preschool assistant, dance instructor and cleaning assistant. When Diana first met Prince Charles in 1977, he was dating her older sister Lady Sarah Spencer. Their relationship developed three years later when Charles invited Diana to go sailing on the royal yacht. The two courted for about a year and became engaged in 1981. Diana and Charles married in July of 1981, when Diana was just 21 years old. The wedding was watched by 750 million people with a worldwide television broadcast. The couple had two children: William, born in 1982, and Henry (Harry), born in 1984. Diana took a different approach to raising her children. She included William on tours of the Commonwealth when he was still quite young, personally selected her sons’ nanny, schools and clothes, and took them on outings to Disney World, AIDS clinics, McDonald’s and homeless shelters. Within five years of marriage, Diana and Charles’ marriage began to fray. Charles rekindled a relationship with ex-girlfriend Camilla Parker Bowles and Diana began a relationship with her riding instructor, Major James Hewitt. British media outlets were relentless in pursuing the pair and were quick to release tapes of private telephone conversations and fuel rumors regarding Diana’s mental health. Their separation was officially announced in 1992 and in 1993 Diana stated her intent to withdraw from public life. Their divorce was finalized in 1996, but as the mother of the young heirs to the throne, Diana remained an official member of the Royal Family. 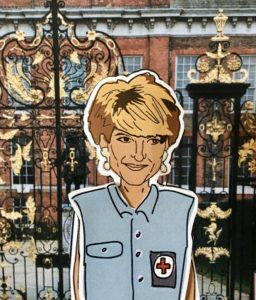 Diana stayed in Kensington Palace after the separation, and began dating heart surgeon Hasnat Khan. The two were quite private about their relationship, which ended in 1997. Diana then began dating Dodi Fayed, who entertained her and her sons aboard a large yacht. Tragically in August of 1997, Diana and Dodi were fatally injured in a car crash in Paris, fleeing from paparazzi. Her death, funeral and burial were some of the biggest news stories worldwide, leading to many conspiracy theories and inquests. Throughout her life Diana was known for her philanthropic work. Her particular interests were serious illnesses usually outside of traditional royal interest, such as HIV/AIDS and leprosy. She worked as a patron of organizations dealing with homelessness, drug addiction, children’s medicine, cancer, and landmines. She was dubbed the “People’s Princess” by media outlets worldwide and remains an icon to this day. Memorials around the world were built in her honor. 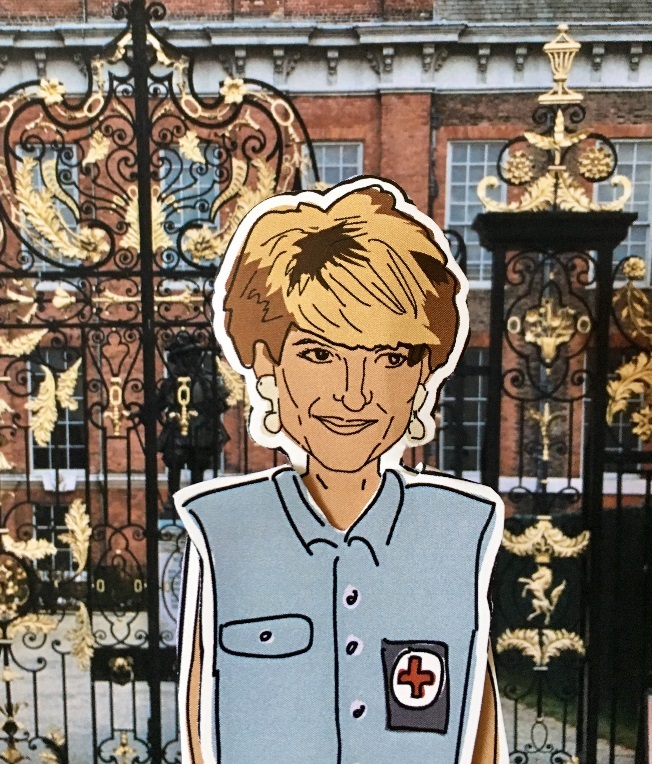 Get your own printable Princess Diana paper doll here. Playwright Mike Bartlett fictionalized the royal family for his “future history play” King Charles III. Bartlett’s Diana is one of mystical proportions. Just like her real-life legacy, Bartlett’s Diana continues to influence and color the choices her family makes.